Washington/Brussels: US President Donald Trump threatened to impose taxes of nearly $11 billion on the European Union, saying that the European Union has taken undue advantage of the United States, over last many years. Trump issued this threat following the verdict of the World Trade Organisation, given in favour of the United States. 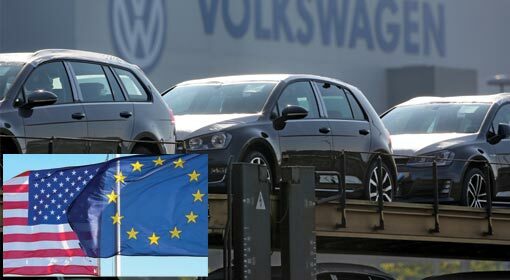 The United States has repeatedly warned the European Union to maintain a trade balance and had warned to impose a tax in the range of 20 to 25 per cent on the cars imported from Europe if no corrective action was taken. In 2004, the United States had lodged a complaint, with the World Trade Organisation, against the subsidies given by the European Union, to a multinational company like Airbus. Europe reduced the subsidies to a certain extent, after follow up and pressure from the United States. But it was revealed thereafter, that the European Union, once again, provided new financial assistance to Airbus. The United States filed a fresh petition, against it. The petition claimed that the subsidies given by the European Union to Airbus, are directly hurting the US company Boing. 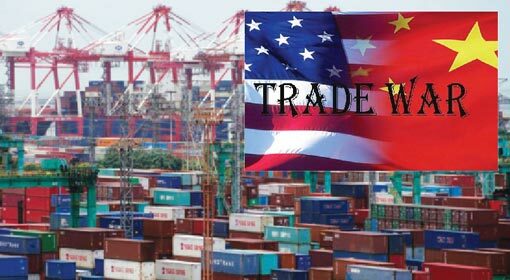 The Preliminary report in the matter has been published, and the World Trade Organisation (WTO) has accepted the claim, made by the United States. 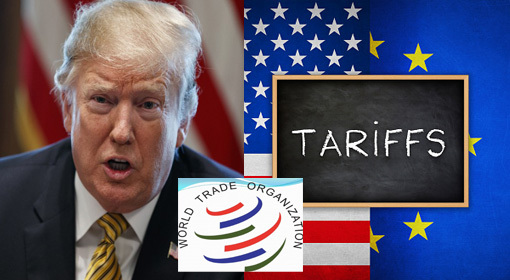 Following the verdict of the World Trade Organisation, the US Trade representatives have indicated to have initiated a process of imposing taxes against the European Union. The statement of President Trump confirms this and the United States will be imposing taxes of nearly $11 billion, against the European Union. The European Union has strongly objected to these taxes and has expressed regret that the extent of taxation has been significantly increased. The list of items that would come under the ambit of the new taxes has been published. As per the list taxes will be imposed on Cheese, Olive Oil, Wines and Motorcycles along with the airplane manufacturing systems. 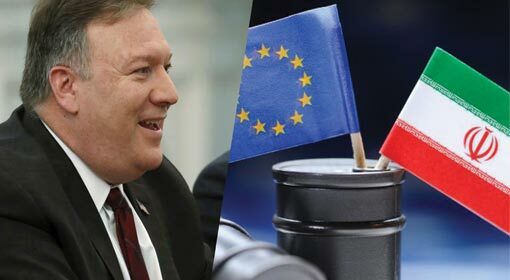 US Trade Representative, Robert Lighthizer justified the imposition of taxes on European Union saying, the United States has been contesting the petition for the last 14 years and now, it is time to act. 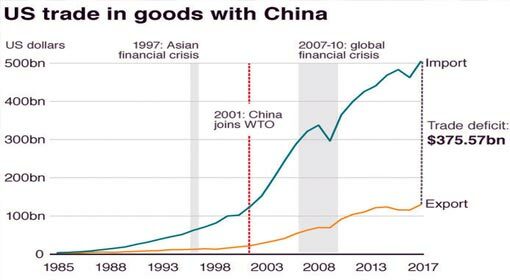 President Trump’s threat indicates that the trade war between the United States and Europe will flare up again. 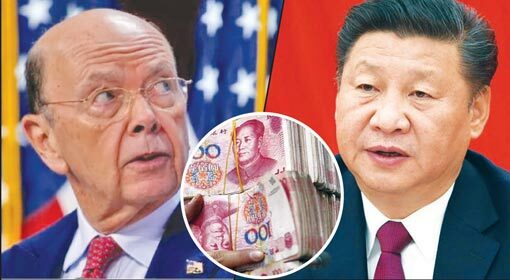 Last year, the United States initiated a trade war against China imposing taxes on Chinese goods imports,worth nearly $200 billion. At the same time, action was also taken, of imposing taxes on the goods imported from Canada and Europe. The European Union in retaliation had announced the imposition of tax, at 25%, on US goods worth $3.3 billion. The taxed items included Bikes, metals, jeans and liquor, imported from the United States.Following this, the US President had, once again, threatened to impose tax on the European vehicles. Although negotiations are going on regarding the matter, no firm settlement has been reached. 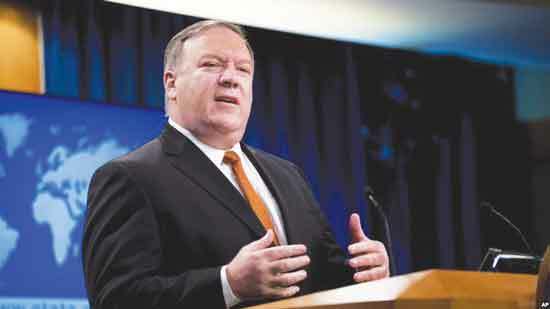 In the last year, the United States and the European Union have been at loggerheads on issues like Iran, Syria, Huawei and NATO. 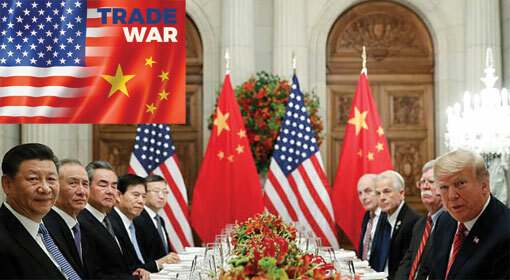 There is the addition of this trade war now, and the indications are that the conflict will only intensify between the two sides.